I remembered another baby shower invite request from Kathryn that I hadn't posted, and thought I would share them with you. This time she sent me a picture of a diaper bag that she wanted to match. It was navy and white lattice with red accents. 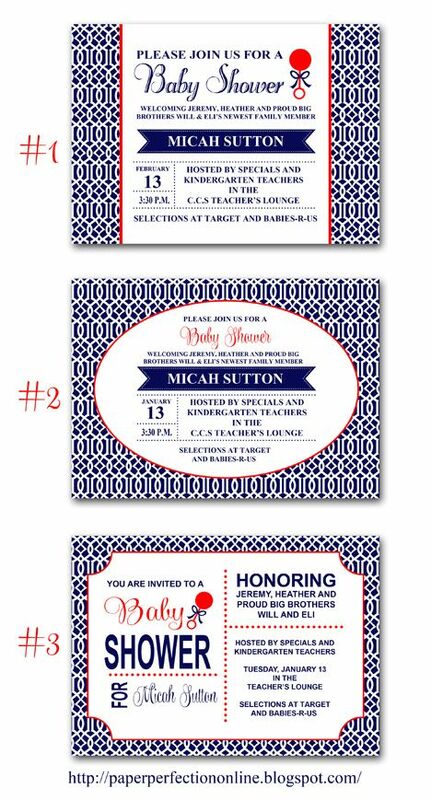 Here are a few sample invites I created to match the diaper bag for her. If you would like one of the invites and matching party printables or a custom invite for your next event contact Paper Perfection at jtanddolly@yahoo.com for pricing and details.